Mabel talked about how to succeed on social media and Maya Jama discussed social faux pas at the east London 'house party'. Voxi, Vodafone's brand dedicated to younger people, staged a house party promote the launch of its latest offering, Voxi x Phones. 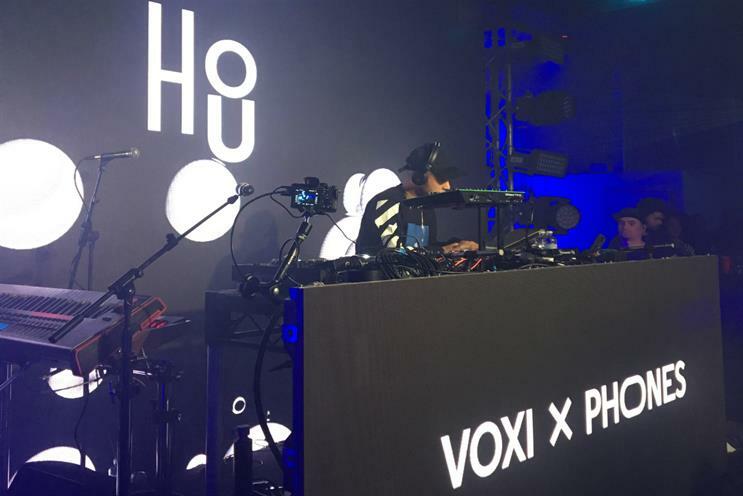 The "Voxi House" event saw performances from Jax Jones and Mabel, alongside DJ sets from Monki and Maribou State. Visitors entered the experience through a wall of thumbs and then through another small space with cylindrical objects sticking out of the walls. There was also a giant cardboard cutout of a cat holding ice lollies. Finders Keepers singer Mabel and Premier League footballer Wilfried Zaha offered insight on how to succeed in the world of social media, while presenter Maya Jama gave tips on avoiding social media faux pas. "Voxi House" took place at east London's Studio Spaces on 24 October, with highlights from the evening livestreamed on the Boiler Room website. The experience was created by FreemanXP and WPP's Team Red. The Voxi x Phones scheme offers customers a more flexible and affordable way to buy a smartphone with no upfront cost.